This is one of the tough question you are going to be asked by the interviewer. If you fail to have a good answer to this question, the interview is almost killed. They want to see how much research the candidate conducted about their company. They prefer people who'll take the time to find out these very basic things, too. No answer or a short answer usually indicates no interest. Do not bring up anything negative about the company. 40% candidates in interview loose the job due to this question. - Research the company carefully and thoroughly before an interview. - Spend a lot of time on their official website. - Use other social media to see what they’re saying and where they are engaged recently. Check them out on twitter, facebook etc. - Keep the answer long as possible. - Don't throw the question back to them. Try to mention their mission, objectives, products they offer, etc. - Mention their awards and achievements if possible. A few of our clients and specifically what they are doing with them. Their competition, where they are strong and where they are weak. How you feel this is a great place to work based on something you read. 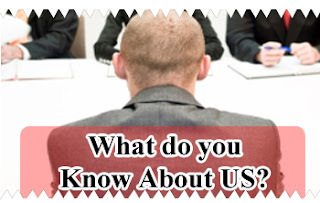 Answer : I found that your company has been in retail business for over Ten years, with an excellent reputation for reliable employee records management and excellent products and services you are offering to the customers. You company has raised 1900 employees in different parts of the country. You clients include top companies across the country. Your company seems to be consistently growing by commencing different outlets and stores in the different cities maintaining the standards and a good reputation alongside. I read a recent article and I come to know about your new project. I'm very interested in learning more about the new project which has just been launched in ABC Town.